MARINATE the pork in the Satay sauce with the onion and chilli, covered and chilled for up to 24 hours. TRANSFER the pork and marinade to a large saucepan; add the capsicum and coconut milk to cover. Cover and cook over a gentle heat for 3 hours. LIFT the pork and capsicums from the pan and pull the pork apart using 2 forks. 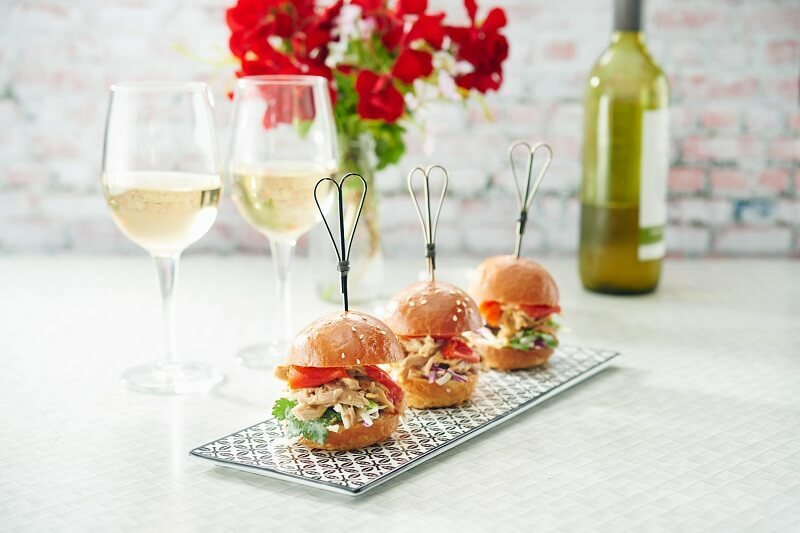 Assemble the sliders with some pork, capsicum, slaw, coriander and a drizzle of cooking juices. Serve immediately.